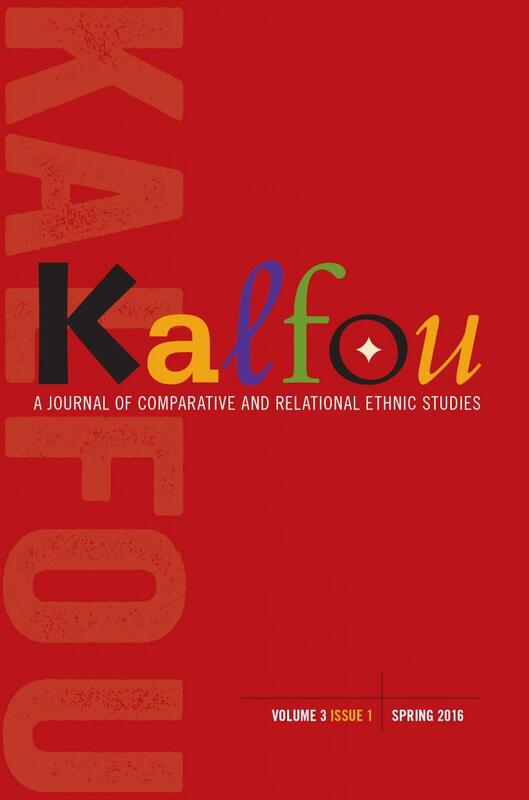 Kalfou is a scholarly journal focused on social movements, social institutions, and social relations. We seek to build links among intellectuals, artists, and activists in shared struggles for social justice. The journal seeks to promote the development of community-based scholarship in ethnic studies among humanists and social scientists and to connect the specialized knowledge produced in academe to the situated knowledge generated in aggrieved communities. It is published by Temple University Press on behalf of the UCSB Center for Black Studies Research. Subscriptions to the print-plus-online editions of Kalfou include two print issues and access to all online issues. All subscriptions are per calendar year. All prices are in US dollars and include shipping and handling. Submissions should be 5,000–10,000 words, including footnotes, and conform to the Chicago Manual of Style, 16th ed. Authors’ names should appear on a separate title page so that manuscripts can be evaluated anonymously. Manuscripts should be sent in Word format. Photos, charts, maps, etc. should be submitted as separate files. Images must meet minimum resolution requirements (1200 dpi for line art, 300 dpi for all other images) or they cannot be published. E-mail submission is preferred. Submissions by mail should include three paper copies and an electronic copy (CD or flash drive). Please review the complete submission guidelines prior to submission.